The Pacific County Emergency Management Agency does not manage power outages! The agency leaves that to the electrical experts at Pacific County PUD # 2. 1. Personal preparedness is crucial. PCEMA has only 1 employee and as such cannot (nor would it be appropriate even if the staffing were different) accept responsibility for individual preparedness. It is key that each individual be personally prepared. For a power outage, this may mean having extra blankets, lanterns, a generator or an alternate source of heat. And a deck of cards or a book to read will help pass the time! 2. 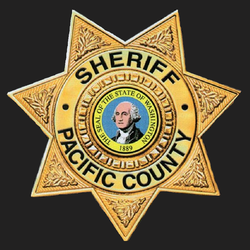 PCEMA has no information other than what is posted on the Pacific County PUD #2 website. We do not possess any “inside information”. What you know or find out by visiting the website or calling the PUD directly, is the exact information that PCEMA has. We obtain that information in the same fashion you do! 3. Warming shelters: PCEMA will consider warming options for residents once the power has been out for 48 hours, depending on outside temperature. Yes – PCEMA understands that’s a long time and that it’s an inconvenience. It takes a long time to stand up and staff a shelter and the Emergency Operations Center as well. (Any time a warming center is opened the EOC will open as well.) Do not expect shelters/warming stations to be open prior to 72 hours after the loss of power. This is a function of the American Red Cross and the ARC requires some response time in order to assess the location, staffing, etc. And if it’s summer – a warming station may not be opened at all! 4. What about people on dialysis or breathing equipment? Those individuals who depend on electricity for health related equipment are encouraged by their health care provider to develop their own emergency plans in advance of an incident. In some cases, the health care provider requires it. In addition, at the advance request of a health care professional, the Pacific County PUD #2 will provide portable generators to those individuals needing immediate electrical assistance for a health care need. Check with your health care provider or with the Pacific County PUD #2 for further information. 5. What about the elderly? Pacific County is a community of neighborly neighbors. PCEMA asks that you check on your elderly neighbors. A phone call will do it – and if you live in a Map Your Neighborhood neighborhood you know the drill! (And if you don’t, you can contact the PCEMA office for information on setting one up.) If you become aware of an elderly or otherwise functional or accessible needs person who needs assistance during a power outage please encourage that person to contact 911 and let the 911 call-taker know of their specific need. Keep you cell phones and any battery powered devices charged. Keep your car’s gas tank full. Gas stations rely on electricity to power their pumps. If you use your car to re-charge devices, do NOT keep the car running in a garage, partially enclosed space, or close to a home, this can lead to carbon monoxide poisoning. Map Your Neighborhood is a program that improves disaster readiness at the neighborhood level. The program is designed to include about 15-20 houses or however many houses you can easily reach in one hour. Once the neighborhood boundaries have been established, a meeting it help to go through the MYN program DVD. The DVD teaches the neighborhood the 9 steps of the program and how to fill out the MYN booklet which includes neighborhood skills & inventory, neighborhood contact list, mapping the neighborhood and more. For more information visit the Washington State Emergency Management Division. If you would like to be a neighborhood facilitator contact the PCEMA office for meeting supplies. -Always have a fully charged fire extinguisher nearby. ​-Place the generator away from windows, doors, and vents that could allow CO to come indoors. -Determine the amount of power you will need. Light bulb wattage indicates the power needed. Appliance and equipment labels indicates their power requirements. If you can't determine the amount of power you will need, ask an electrician or refer to owners manual. -NEVER try to power your house by plugging the generator into a wall outlet, a practice known as back feeding.